You are here: Home / Restaurant Reviews / Off the Beaten Path / Laura’s Hilltop Restaurant in Brownsville: Off the Beaten Path and Up on a Hill! Laura’s Hilltop Restaurant in Brownsville: Off the Beaten Path and Up on a Hill! When I was a little girl, my mom, dad and I took frequent vacations. He worked with the public six days a week and she was a nurse in the public school system. They needed frequent vacations to stay anywhere near sane. A lot of times he’ll just pull into a restaurant that makes me raise my eyebrow a notch or two. Or twenty. You know, the type of restaurants that only locals usually go to. Fortunately, I get a serious kick out of these places, so I usually beat him out of the car. On a recent trip, we stopped for lunch in Brownsville. He pulled into a restaurant’s parking lot and I knew, immediately, that he was at it again. The sign told me that this homey little restaurant’s name was Laura’s Hilltop Restaurant. Will all the beautiful hills around Brownsville, I have to give Laura (whoever she may be) her due. The restaurant was named perfectly. Michael told me that he’d stopped here once with a friend for breakfast and that the food was great. Good enough for me. I whipped out my beloved camera (always within reach) and snapped a few pictures of the sign and front of the restaurant. 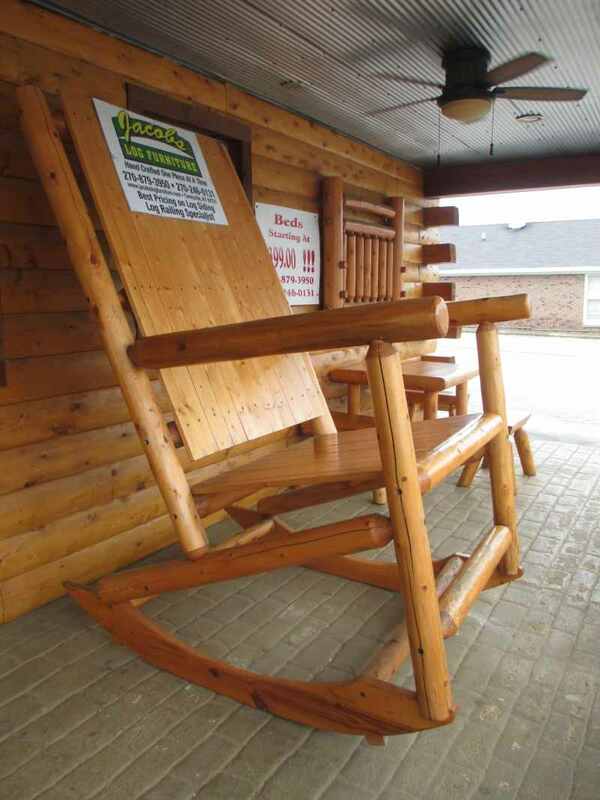 I’m crazy about the humongous chair on the front porch, as well as the other giant work or wooden art. 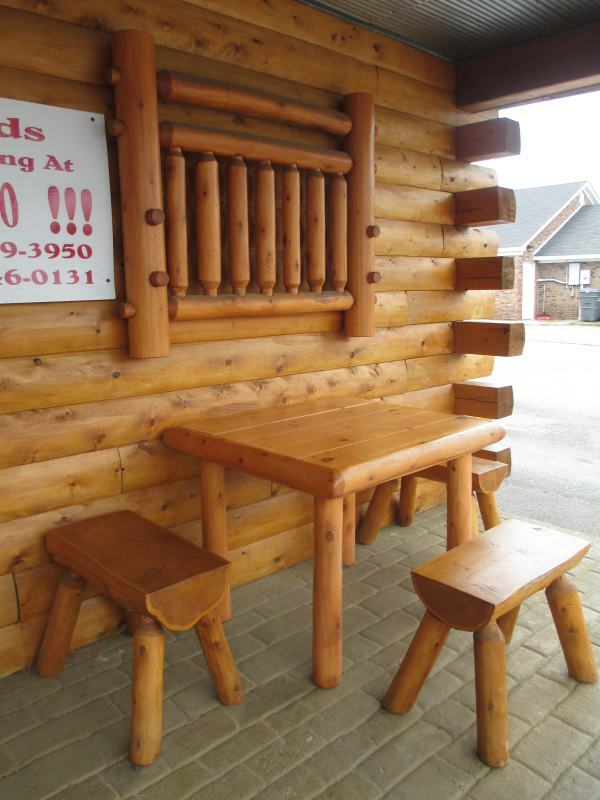 I thought each set a fun, homespun atmosphere for the restaurant. The inside was what you’d expect from a small, locally owned and operated restaurant in a small town. It was a step back in time. It reminded me of something that was kind of cool. Think back to when you were a kid – the word “restaurant” probably brought up the image of a homey little diner with decor you might see on your grandmother’s walls. The “soundtrack” of a restaurant back then was small talk as neighbors caught up with one another and as strangers got acquainted. Personally, I’d take that over music any day. 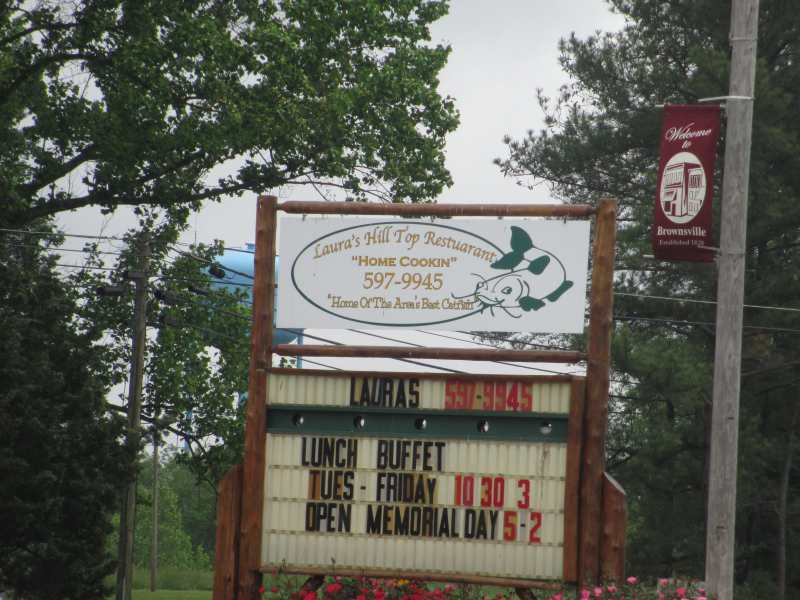 Laura’s Hilltop Restaurant is just the sort of restaurant you probably remember from days gone by or, as my grandmother loved to say, “back in the day”. The atmosphere was cozy and friendly and the prices were (like they usually are in these restaurants) great. I overheard this conversation between a man and his 6 or 7 year old daughter who were in the booth behind me. Father: Your burger won’t take long. Father: They won’t take long either. Daughter: Will you eat my burger for me? Father: You aren’t hungry now? Daughter: I am hungry. But for fries. Daughter: I didn’t touch it hard. When she said chocolate, she reminded me of myself so much, I nearly turned around to see if I were time traveling. I loved this kid. When it came time to order, I did my normal song and dance (Step 1: I located fried catfish on the menu. I knew it was available because I’d seen the whiskered little fellow on the sign out front.). I found a fried catfish sandwich on the menu, so the dance continued (Step 2: Choose a side to accompany my catch.). I told the friendly lady who was server that I’d love a fried catfish sandwich and onion rings. 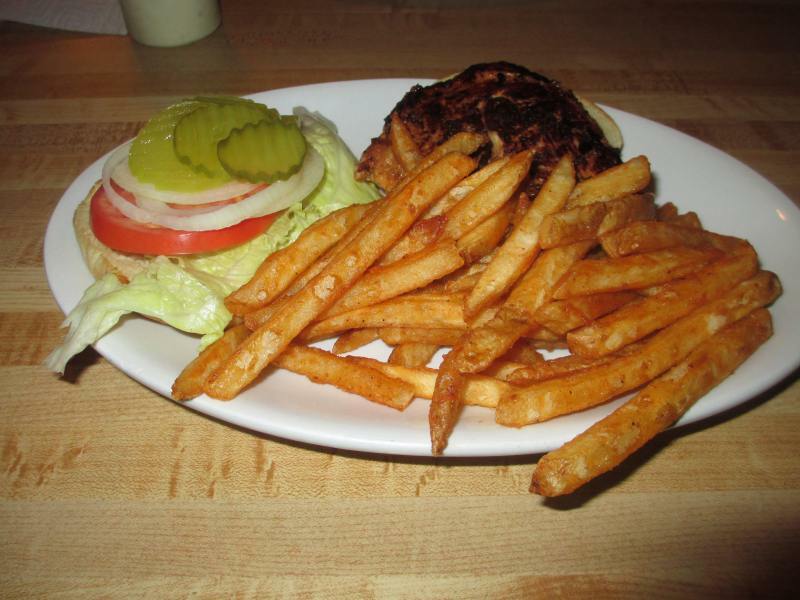 Michael ordered a Mesquite Grilled Chicken Sandwich with Spicy Fries. She asked what he wanted on his sandwich and told her to run it through the garden. One of these days, when he says that, I’m hoping his sandwich comes out with zucchini, carrots, okra, pole beans, and a rabbit sitting on top. I’ll have my camera ready – know that. When our food arrived, we dove in. It’d been a long morning on the road, so we were fairly famished. My fried catfish sandwich was great. 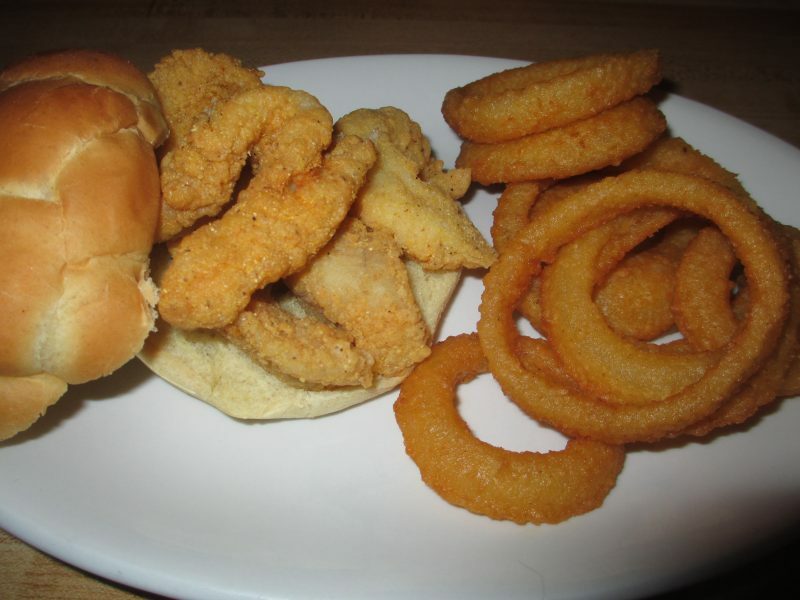 The bun was soft and tasty, the catfish was perfectly fried and there was so much of it! They certainly do right by you when it comes to serving sizes at Laura’s Hilltop. The onion rings were also really good. The onion rings and fried catfish both had perfect coating, perfect seasoning, and perfect taste. The catfish sandwich, apparently, doesn’t come with any lettuce, tomatoes, pickles, or onions – so be sure to ask for these co-stars if you want them. For me, personally, it’s not a problem. After all, I’m just there for the catfish – anything else just gets in the way. The sandwich does, however, does come accompanied by tartar sauce – which happens to be darn tasty. Michael’s spicy fries actually lived up to their name. A lot of times you’ll order “spicy fries” and they’ll taste just like regular fries – but with a hint of paprika. These spicy fries were actually spicy and were really good. His Mesquite Chicken Sandwich was also fantastic (with or without the rabbit). The mesquite flavor was definitely noticeable but not overpowering. The flavor was fantastic. This homey little restaurant serves a mean lunch and I”ve heard that the same can be said of their breakfast and dinner. Sure, there are people who’ll go into these locally owned little restaurants and complain about silly things (the color of wallpaper, “old tables,” blah blah blah). These are the sort of people I hope I never have to dine with. People like that? They such the fun right out of life. There’s something about these types of restaurants I love – IF the food is good. At Laura’s Hilltop Restaurant, the food isn’t just good… it’s very good. 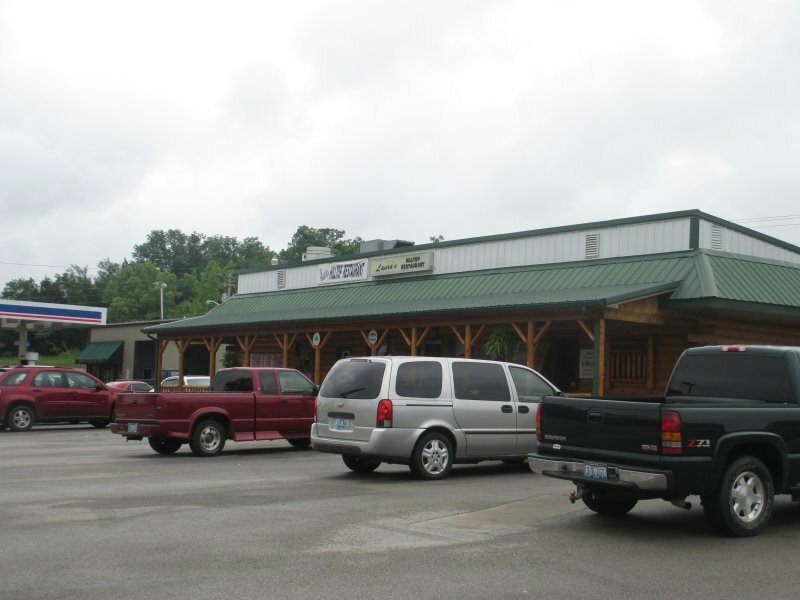 Laura’s Hilltop Restaurant can be found at 1409 Ky Highway 259 N in Brownsville, Kentucky. They can also be found on Facebook.